When will be Nate and Jeremiah by Design next episode air date? Is Nate and Jeremiah by Design renewed or cancelled? Where to countdown Nate and Jeremiah by Design air dates? Is Nate and Jeremiah by Design worth watching? 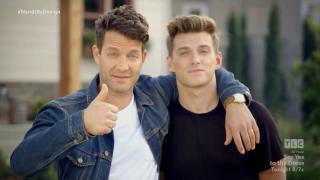 TLC makes a move back into the property space in a new series with interior designer and author Nate Berkus, interior designer and husband Jeremiah Brent. 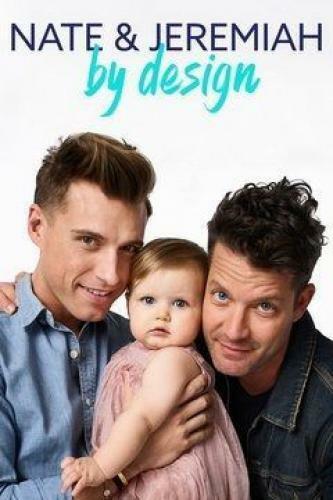 Their first venture into TV together, Nate and Jeremiah by Design premieres Saturday, April 8 at 9/8c and follows the couple inside and outside of the home, as they juggle married life and raising their baby daughter, Poppy, while helping distressed homeowners turn a disaster into a dream home. In each one-hour episode, Nate and Jeremiah use their talent and irresistible charm to transform lives through design, rescuing homeowners who have gone over budget and over schedule on renovation projects and cannot see an end in sight. With budget at the forefront and the couple's lifestyle in mind, Nate and Jeremiah boldly revisit the home's layout to build a practical-yet-stylish space. They then search high and low for unique design pieces to bring character and a personal touch into these refreshed dwellings. But the joys and challenges that Nate and Jeremiah encounter professionally are nothing in comparison to those faced in their most important job, as fathers to baby Poppy. The proud parents bring the audience inside their private life to see firsthand how they balance demanding careers and spending time with "the girl that changed everything." Darren and Missy have spent the last decade trying to remodel their mid-century modern home into an updated masterpiece; they need Nate and Jeremiah to complete their forever home be designing a fabulous kitchen. Nate and Jeremiah help Jim and Shawn redesign their family home to make a claustrophobic space more open; they hope to stay under budget but still deliver results. Just months after buying their first home, Lauren lost her job and she and George found out she was pregnant; Nate and Jeremiah work to turn this couple's dysfunctional space into a welcoming home for the addition of their second child. Julia and Mario want their kids to grow up with traditions and continue the Sunday dinners, but their small kitchen and awkward layout are making family members frustrated; Nate and Jeremiah work to help the family carry on a 40-year tradition. The Barnes family's renovation has gotten away from them and Haley's medical issues have complicated the process; their luck has gone from bad to worse and they desperately need Nate and Jeremiah's help. Nate and Jeremiah by Design next episode air date provides TVMaze for you. EpisoDate.com is your TV show guide to Countdown Nate and Jeremiah by Design Episode Air Dates and to stay in touch with Nate and Jeremiah by Design next episode Air Date and your others favorite TV Shows. Add the shows you like to a "Watchlist" and let the site take it from there.